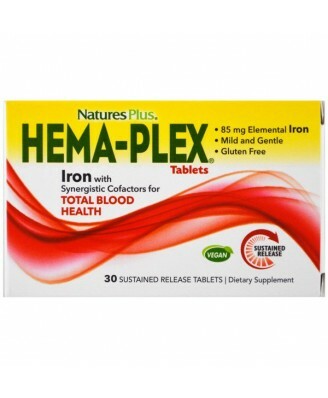 30 Sustained Release Tablets Hema-Flex from Nature's Plus. 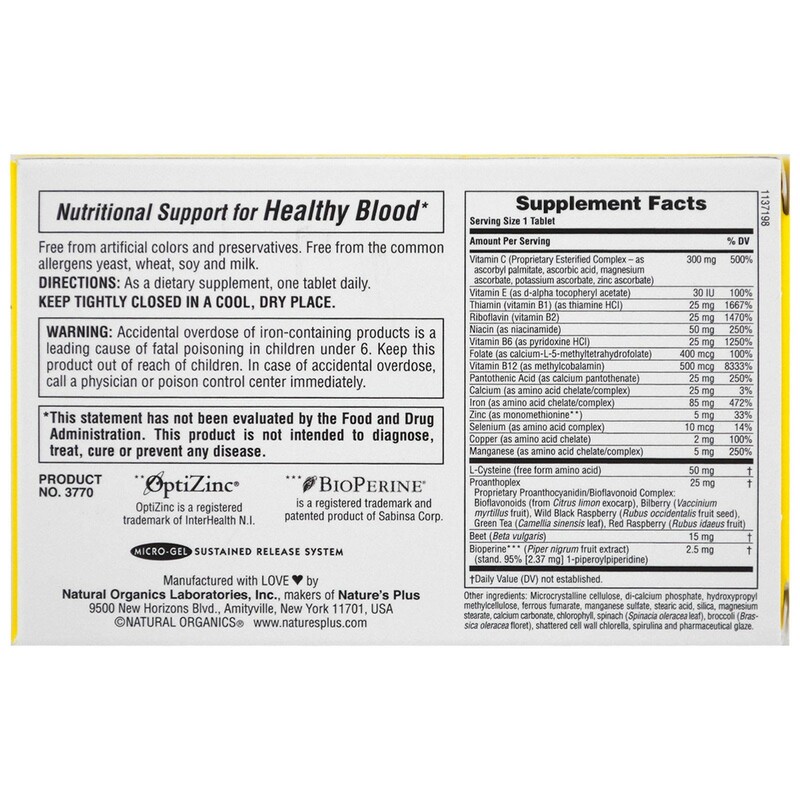 Microcrystalline cellulose, di-calcium phosphate, hydroxypropyl methylcellulose, ferrous fumarate, manganese sulfate, stearic acid, silica, magnesium stearate, calcium carbonate, chlorophyll, spinach (spinacia oleracea leaf), broccoli (brassica oleracea floret), shattered cell wall chlorella, spirulina and pharmaceutical glaze. Keep tightly closed in a cool, dry place. Accidental overdose of iron-containing products is a leading cause of fatal poisoning in children under 6. Keep this product out of reach of children. In case of accidental overdose, call a physician or poison control center immediately.